Terry has been our Lead Pastor since January 2009. 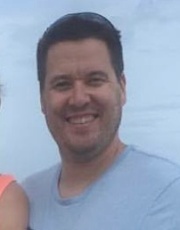 He was raised near Ft. Wayne, Indiana and attended Olivet Nazarene University (BA Communications in '94). 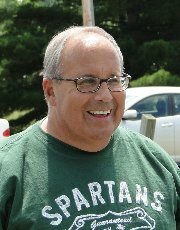 He has served on church staffs in Maryland, Ohio and Michigan. As our Lead Pastor, Terry’s responsibilities include casting vision for our church, guiding the church in its mission to impact the Flushing community, to preach and teach the timeless truths of God’s Word in relevant and creative ways, and equip us all for service in the Kingdom of God. Terry and his wife Tammy have been blessed with two great kids: son Corbin, and daughter Sutton. As a family, they love to ride their bikes, enjoy movie night and a great bowl of ice cream! The Bate family understands well the pressures and frustrations of life. They also know the power and freedom that flows from the love of God. Feel free to contact Pastor Terry at terry@flushingcommunity.org with any comments are questions you may have! Steve was raised in Davison, Michigan, graduating from Davison High School. He received his B.S. in Christian Education from Olivet Nazarene University. He is a 20-year youth ministry veteran, now serving as our pastor for Creative Arts. Steve works with our creative team and excellent musicians to plan and lead our worship gatherings. Steve is the staff “gearhead”, enjoying anything with a motor and loud exhaust and he’ll pinstripe anything that will hold still long enough. He’s been married to Julie since 1985 and is the father of two adult girls: Lindsay Mikhail (Jonathan) who lives in Joplin, MO and Brenna here in Flushing. Feel free to contact Steve at pastorsteveclose@yahoo.com with any comments or questions you may have! Since 2003 Troy has been working with students in a variety of positions; Intern, Pastor, and Coach. He has a heart for students and loves to connect with them and help them grow to be all God made them to be. Troy is laid back, easy going,loves to laugh and enjoy life. He is a sports nut and loves all sports but football is his favorite (especially The Michigan Wolverines). Troy and his wife, Nicole, were married in April 2008. They have two children; Madison and Braylen whom they enjoy parenting and spending time together as a family. They love hanging out with family and friends and enjoy playing games! Feel free to contact Troy at troy@flushingcommunity.org with any comments or questions you may have! 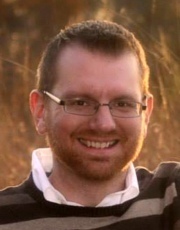 Mike joined our staff as Pastor of Spiritual Formation in September of 2012. He was raised in Ithaca, Michigan. 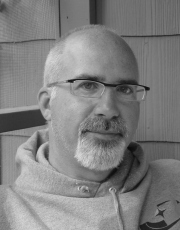 Mike has studied graphic design and illustration, graduating from Kendall College of Art and Design in 2003. After receiving a call to ministry, he returned to school and graduated with a Master of Divinity from Winebrenner Theological Seminary in 2012. Mike’s passion is making disciples for Jesus and seeing people shaped more and more into Christ’s image. As our Spiritual Formation Pastor, Mike leads our Spiritual Life Team in developing opportunities for our church to engage God’s word and Spirit for ongoing spiritual growth. Mike and his wife Dori both enjoy incorporating creativity and art in their service to God. They have a son, Gideon, and a daughter, Hannah. Feel free to contact Mike at mike@flushingcommunity.org with any comments or questions you may have! 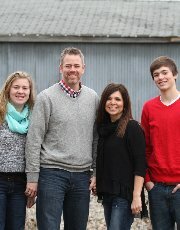 We are thrilled to welcome Pastor Kelli Fulks and her family to our church staff. Kelli, Dennis, Bria (4) and Conley (2) are looking forward to getting to know each of you! Feel free to contact Kelli at kelli@flushingcommunity.org with any comments or questions you may have! 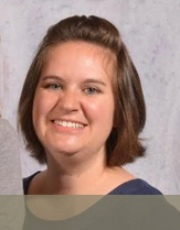 Tammy joined our staff at the end of 2018. She was raised in Flint, Michigan and graduated from the University of Michigan-Flint with a Bachelor’s Degree in Business Administration majoring in Accounting. Tammy recently retired from Genesys after 31 years of service. Her work career was primarily focused in Fundraising, Finance, Payroll and Human Resources. Tammy is married to Craig and they have three adult children, Kayla, Tyler and Garth and three grandchildren, Aleah, Aiden and Emerson. Tammy and Craig enjoy hunting, biking, walking and outdoor activities together. 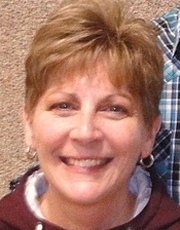 Tammy likes to scrapbook and enjoys watching sports especially the Michigan Wolverines. Feel free to contact Tammy at tammyd@flushingcommunity.org with any comments or questions you may have! Bob was raised in Detroit Michigan. He graduated from Northwood University with degrees in Business Administration and Business Management. He is now taking classes toward his ordination in ministry through the Church of the Nazarene. Since 2013, Bob has served the church as the Pastor of Mercy and Care. His role on our leadership team includes leadership of our Mercy Team and establishing a stronger system of pastoral and congregational care. He has developed a powerful vision of mercy that partners with area schools and churches to serve the community in caring and compassionate ways. He has been married to Carol since 1966. They have two children Laurie and Karen, and three grandchildren Jessie, Levi and Micah. Since his retirement from General Motors, Bob stays busy with many volunteer opportunities including his work with Compassionate Friends and the Flushing Christian Outreach Center. He enjoys antiques, especially restoring old trunks. Feel free to contact bob@flushingcommunity.org.